Another one of our cook book reviews! This one is about Seven Spoons by Tara O'Brady. Have you looked at the cover? it is so eye catching and gorgous. It is definitely a cook book I would stop at just based on that. 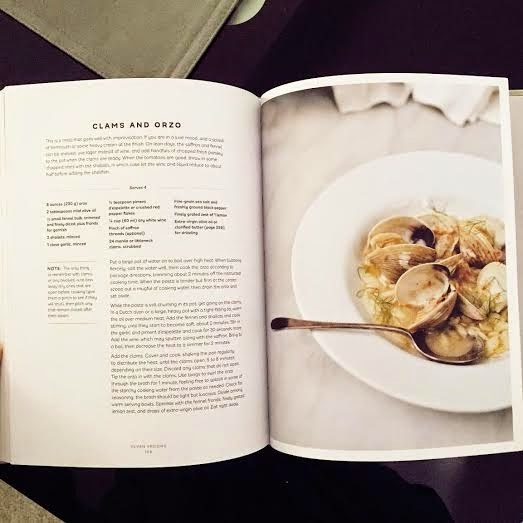 This turned out to be the focus of the book because Tara O'Brady's book was also inspired by her cook blog where she posts beautiful photos of all the recipes she makes. & Breakfast to Sweets, treats, and sips. have never cooked with any difficult ingredient, clams in this case. This recipe contains wine but because we don't drink alcohol, we substituted it with vinegar. It's a good thing my made made this because if it was me and I was faced with this delimma.. I would be online googling and panicking about my recipe not turning out right because the book didn't specify an alternative and what if nothing will make it taste as good? to see what my meal will look like.. 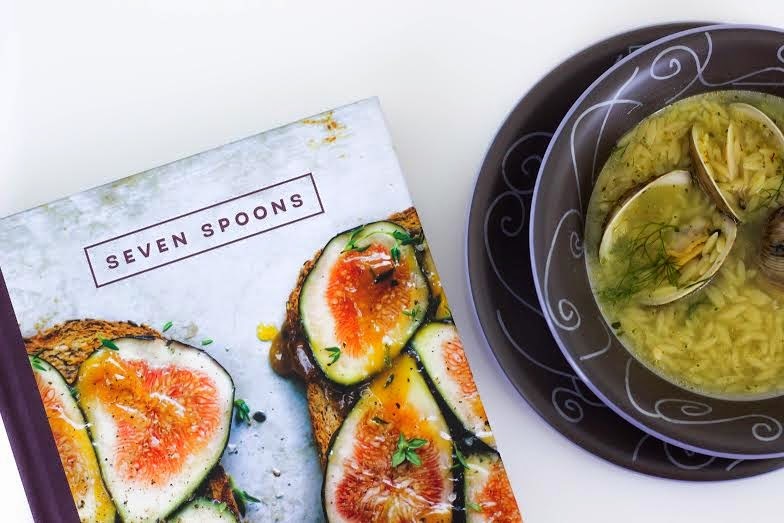 I tend to over analyse everything and if I feel that I'm getting some weird color or look..
you need is seven spoons to make a recipe, but that wasn't the case. However, reviewing the recipe itself? it was delicious! I couldn't stop eating it and I actually finished that whole bowl. 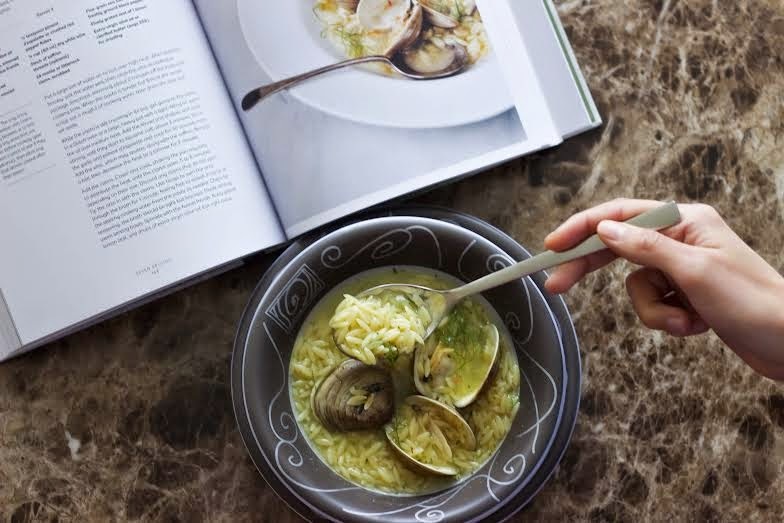 This is a recipe that I will definitely make again because I'm a big seafood fan and I loved the broth made. This book contains many recipes from different countries. There are some greek, indian, arabic, and asian recipes. There are also some simple ones. I will definitely be flipping through it more and focusing on the recipes without photos too.